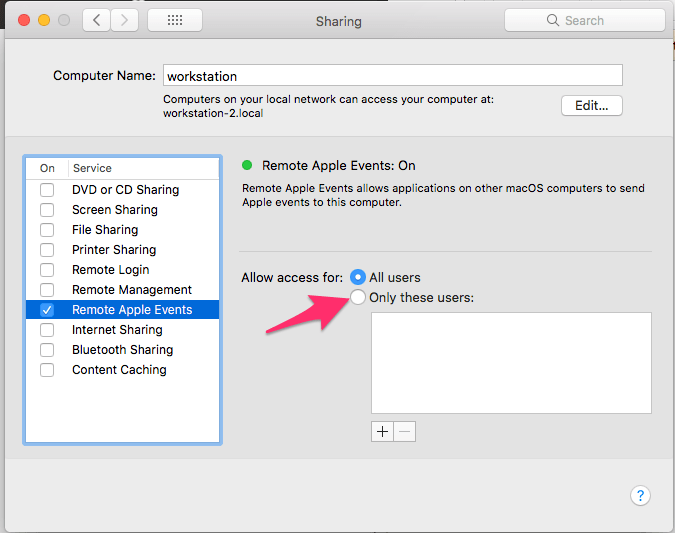 Continuing our run down of the sharing preference pane we’ll cover remote Apple events, remote Apple events allow apps running on other Macs to send commands directly to the Mac with remote Apple events enabled these commands can include “opening an app”, “printing a document” or even playing music. 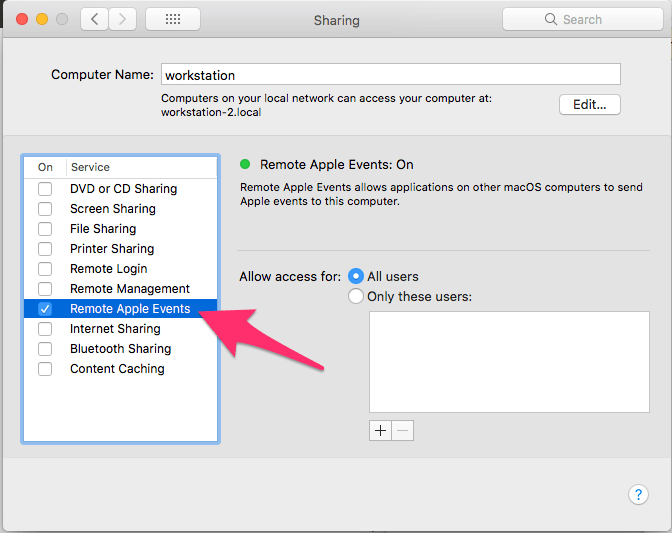 Basically, remote Apple events allow you to quickly run a task on another Mac without having to use screen sharing. 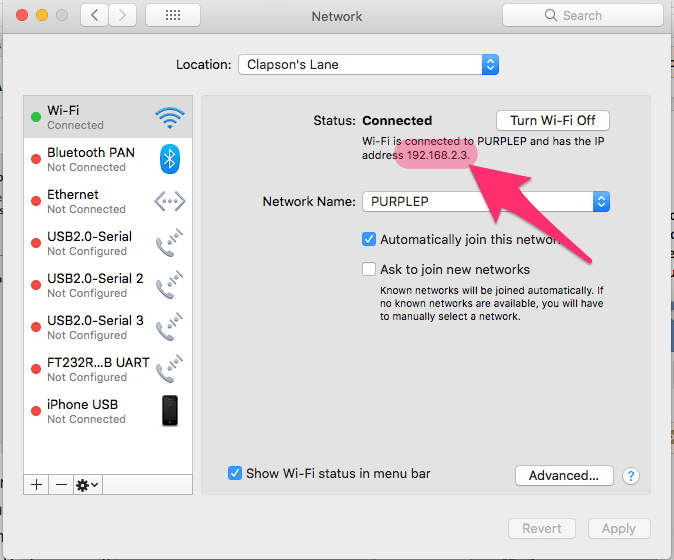 You will need to know the I.P address of the Mac you have enabled remote Apple events on, you can go back to System Preferences > Network to find the local I.P address or if you want to run these events from outside your local network (home Wi-Fi etc) you will need to obtain your external I.P address from your router and enable port forwarding to your Mac. 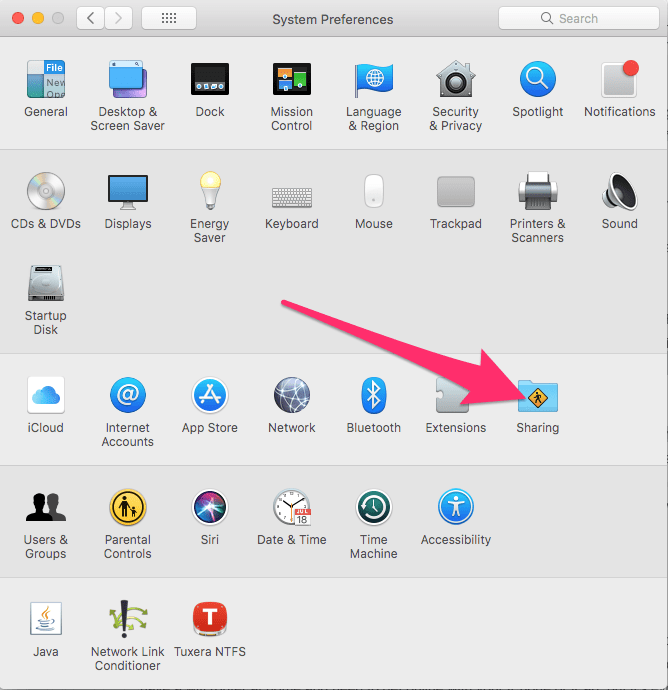 And for our first simple script we will simply tell iTunes to open and play on the remote machine. 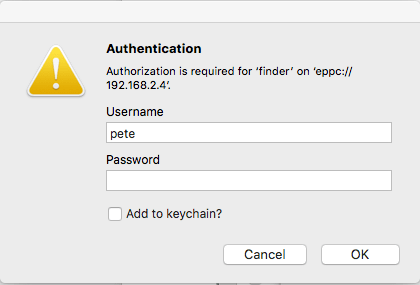 setremotemachine to "eppc://YOUR I.P ADDRESS"
The remote machine will open iTunes and play the playlist called Rock. 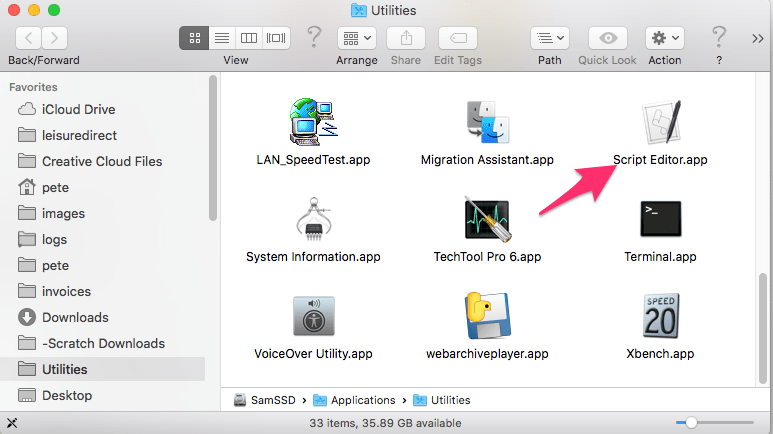 This Apple Script we have custom coded for this tutorial, if you want to learn more go to the Apple Script website Mac OS X Automation. 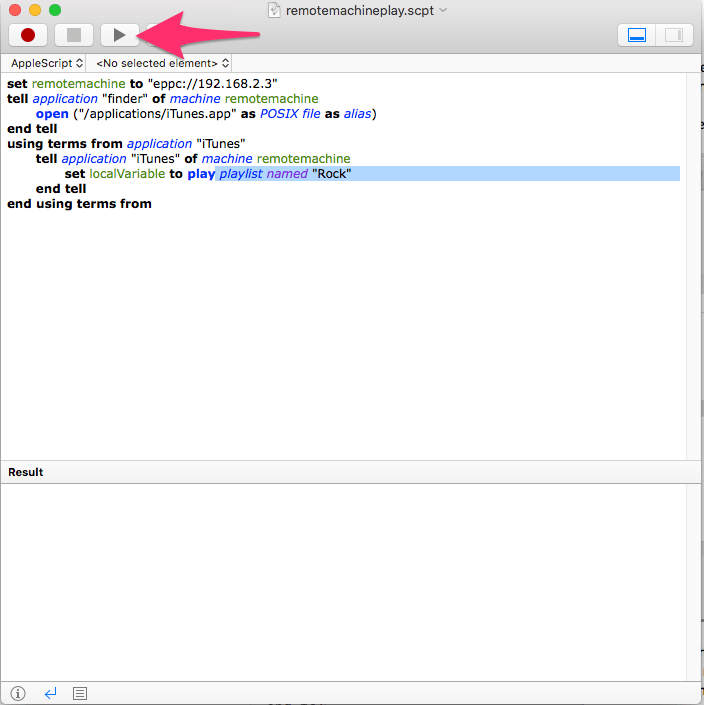 And for more iTunes commands including building a remote player see the Apple website.